A variety of sample prep and testing techniques exist for analyzing terpenes, but some are clearly more accurate than others. Allegra Leghissa is a Ph.D.-seeking analytical chemistry graduate student at The University of Texas at Arlington, working under the direction of Prof. Kevin A. Schug. She was born and raised in Bologna, Italy. She left Italy in August 2014 after completing an undergraduate Chemistry degree at the University of Bologna. Kevin A. Schug is Professor and the Shimadzu Distinguished Professor of Analytical Chemistry in the Department of Chemistry and Biochemistry at The University of Texas at Arlington (UTA). Since joining UTA in 2005, his research has been focused on the theory and application of separation science and mass spectrometry for solving a variety of analytical and physical chemistry problems, in the fields of environmental, pharmaceutical, biological, and energy research. He has 150 peer-reviewed publications and over 400 presentations, posters, and invited talks to his group’s credit. He has been the primary mentor and research advisor to more than 20 graduate and 50 undergraduate students. Dr. Schug has received several research awards, including the 2009 Emerging Leader Award in Chromatography by LCGC Magazine and the 2013 American Chemical Society Division of Analytical Chemistry Young Investigator in Separation Science Award. Dr. Schug is a member of the scientific advisory board for VUV Analytics, Inc. The science behind hemp is fascinating. Every single part seems to be of use and help people. I like to think of it as the “miracle plant”! 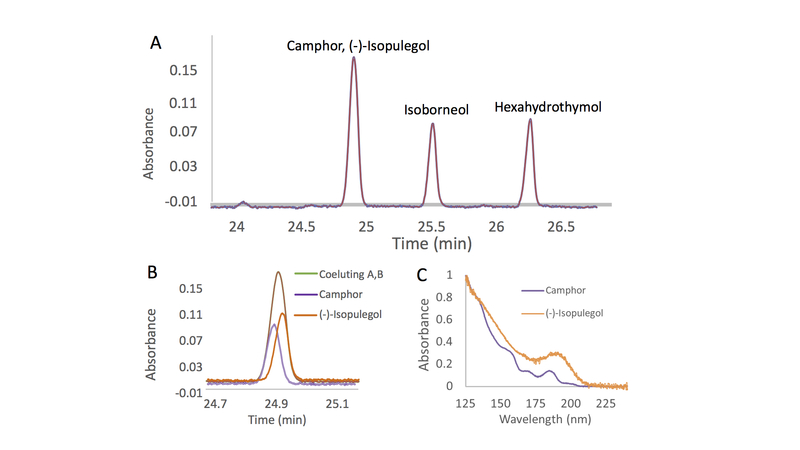 GC/IR would provide information to identify specific terpene isomers and other compounds in cannabis. It should be used as a complementary method to GC/MS.